At least 17 people have been killed in the Democratic Republic of Congo following a violent anti-government rally. 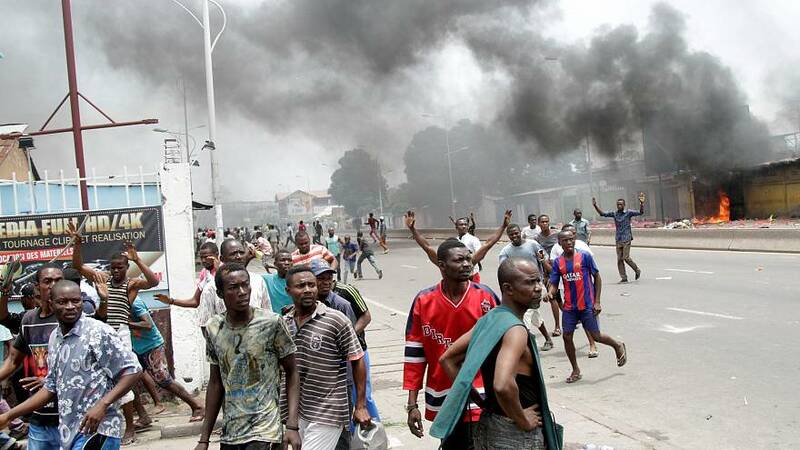 There were ugly scenes in Kinshasa as protesters gathered to demand President Joseph Kabila step down. Banned from running for a third term, his mandate is due to end in December. Security forces fired tear gas to disperse hundreds of demonstrators on a main road in the capital – Police were also accused of using live ammunition. “We are marching because we hate what is happening in our country. Firstly, (President) Kabila does not want to leave this country and does not want to organise a vote. That’s why today we are forced to protest to show our dissent for the 2016 elections. If Kabila does not respect the law, we will apply Article 64 of the constitution,” one protester said. According to the country’s interior minister three policemen were among the dead. The DRC’s national electoral commission was due to announce a date for the presidential election, due in November, on Monday, but has now said it is not possible to hold the ballot then.